Wool/Cashmere Mock Neck Pullover, knitted in Italy in a unique honeycomb stitch offering lightweight comfort, exceptional softness. Contrast sleeves, with ribbed cuffs and waist. 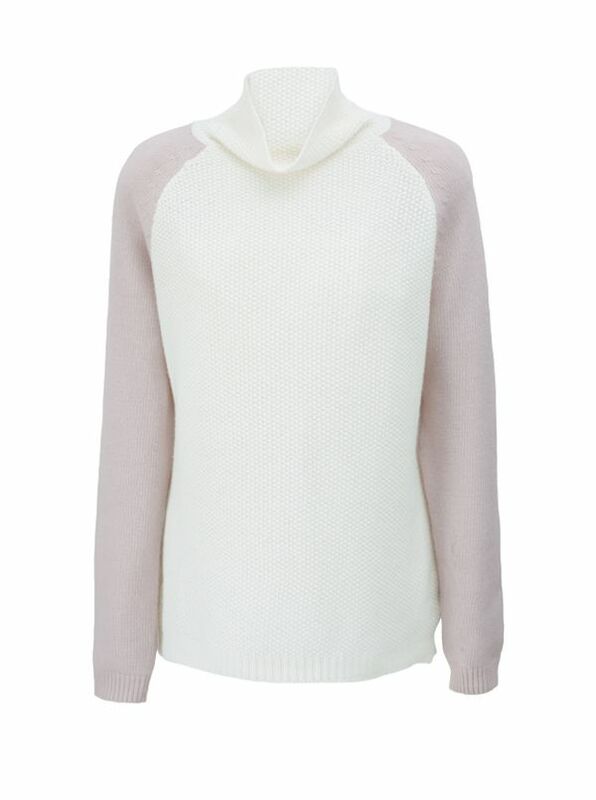 Comfortable, relaxed mock neck in 70% wool/30% cashmere.